Many parents who sign their children up for daycare are presented with a liability waiver before the child is accepted. These waivers are designed to protect the daycare from spurious lawsuits that may result from normal childhood accidents. When children are involved in more serious accidents, parents sometimes think they cannot sue the daycare for negligence because they signed a liability waiver. This is false. In general, if your child is injured due to negligence on the part of the daycare provider you can sue for compensation. There are, of course, exceptions to this rule, such as if you yourself may be partially at fault for the injury, but generally speaking, liability waivers do not preclude families from suing daycare providers IF the injury happened due to the provider’s negligent actions (or inactions). Daycare waivers are intended to limit a day care’s liability for injuries that occur on their watch – not remove their liability entirely. Legally, a daycare cannot waive their liability for daycare accidents or daycare injuries that result from their own negligence, rending the waiver unenforceable in these types of situations. Keep in mind that simply sustaining an injury is not enough to bring forth a lawsuit, whether there is a waiver involved or not. If your child is injured while at daycare and you decide to sue, you will have to prove that negligence played a role in the injury. You’ll need to prove that the facility failed in its’ duty to provide care and that the failure played a role in causing the injury to occur. Finally, you will need to prove damages. Damages is another term for the compensation needed based on the injury. Damages are calculated in many ways but typically include current and future medical bills, wages that you or your spouse may have lost due to needing to take time off from work, or even pain and suffering. 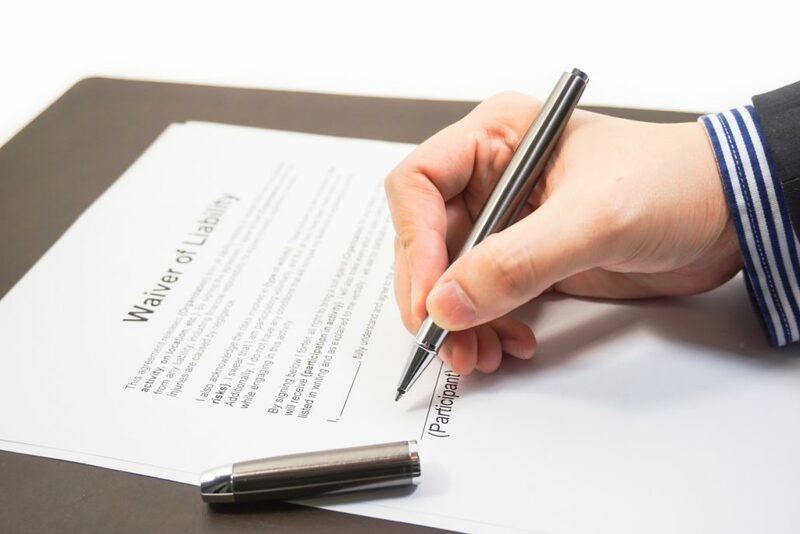 There are good reasons to sign liability waivers. For example, most give the daycare the authority to call an ambulance, if needed. So, don’t let your fear of giving up your right to sue, stop you from signing it. If the daycare is truly responsible for your child’s injury, you can’t be stopped from filing a lawsuit against them, but you’ll want to make sure you have a case by contacting The Beregovich Law Firm for a case evaluation. Our Florida personal injury attorney will examine the evidence and advise you of your legal options so you can make an informed decision. Contact The Beregovich Law Firm at (800) 631-9009 or email us to schedule your consultation.